First nations speak for themselves on pipelines proposed to link the Alberta tar sands to Kitimat on BC’s coast. See more at the Vancouver Sun. 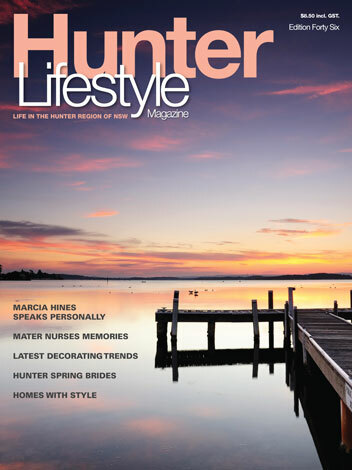 In the current edition of the Hunter Lifestyle Magazine, Marilyn Collins wrote a nice article about me. She talked about my photography, moving to Newcastle, our involvement with guide dogs, the fundraising for the Leukaemia Foundation that was done on the exhibition opening night. I also got to display a number of my photos. The highlight is that they are using one of my Squids Ink photos for the front cover of Issue forty six. When Marilyn asked me if they could use one of my photos for the front cover, I was understandably very pleased to say the least :-). The article is named Leave Only Footprints and opens with a full page of my Golden Tumble photo taken at Karijini National Park back in April. The magazine hit the newstand in the Hunter on Thursday 28 October. Some select newsagents also carry the magazine in the Sydney and Central Coast regions. More by accident then by design, the other night we watched the documentary called The Cove. It just so happens that it won the 2009 OSCAR for Best Feature Documentary. The movie is about a team of activists, film makers and freedivers that go and investigate the “tradition” of hunting dolphins in a cove in Taiji, Japan. It is a story that will stay with you for a long time. Did you know that approximately 20,000 dolphins are killed each year in Japan? The documentary shows how this is being done in this small seaside village in Japan. The fishermen initially round up the dolphins. Then some of these dolphins are sold to trainers that train up the dolphins to then be sold to dolphinariums or swim-with-dolphins programs. The rest of the dolphins are simply slaughtered and sold for meat! Take part in the campaign. Join a Save Japan Dolphins. Spread the word to your friends, family, school, workmates. Just a quick review of the Frans Lanting seminar that I was able to attend in Sydney this past weekend. Frans’ seminar was titled “Every Picture Tells a Story”. Frans is a very engaging presenter and you can really feel his passion for nature photography. It was wonderful to listen to him talk about the process that he goes through when going on a photo shoot for National Geographic. How he conceptualises his images, be it landscape or wildlife, was very refreshing. Like all great nature photographers, these wonderful photos rarely just happen, he has spent numerous hours in the field, waiting and planning to get the image. The seminar was organised by another famous photographer, at least in Australia, Ken Duncan. Ken was also running an exhibition of Frans’ works at his gallery in Erina and The Rocks in Sydney. To be able to view Frans’ work framed on the wall of the gallery was outstanding. These images look fantastic in the books that Frans has published but nothing compared to seeing them printed big. We are finally on our way. We are sitting at Sydney Airport waiting for our flight. Today we travel to Cape Town, South Africa. We will spend a number of weeks in the southern part of the African continent, visiting South Africa, Zambia and Namibia. I’m not sure how much Internet access I will have but I’ll do my best to update the blog. We left this afternoon, saying goodbye to Mariola’s mom. Our four-legged girls are at home in the good hands of Alison and Bryan who are moving in for the duration of our holiday. Time to sign off before they call our flight.